As the Houston Cougars look to enter the Big 12, we’re thinking about dental injuries (among other things). 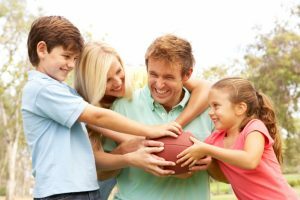 Contact sports like football are one of the leading causes of injured teeth — but there’s also life’s little unexpected, like fender benders or a Sunday afternoon bike ride gone awry. Whatever it is that causes your next tooth injury, you can stay calm by being prepared. Keep reading to learn how to treat the pain at home, and when to seek help from your Houston oral surgeon. But Is It Really a Dental Emergency? Many times, adults delay seeking emergency treatment for a tooth because they are reluctant to admit that their situation is “urgent.” But it’s not a time to be humble — if you are experiencing tooth pain, bleeding, or have broken anything in your mouth, you must seek quick dental attention. Some of the most common dental emergencies include facial trauma like a jaw injury or fracture, a tooth that’s been knocked out, dislodged, or broken. Toothaches and soft tissue lacerations are also common. Broken fillings, crowns, and bridges require urgent attention, too. The first thing to do after a dental injury is to call your dentist’s office. Seeking rapid attention is crucial for positive outcomes. Knocked out teeth, for example, cannot be reattached if they remain out of the mouth for longer than two hours. Once you have gotten in touch with your dentist, your appointment is scheduled depending on the severity of the situation and your ability to make it to the office. Here’s what you can do in the meantime. For knocked out teeth, find the tooth and rinse away any debris under cool water. Do not scrub the tooth or touch its root at all. Store the missing tooth in its socket, the cheek, or a cup of milk or water until you can reach the dentist’s office. Stay calm. If a tooth has been dislodged, try to gently work it back into proper position. Do not force the tooth. Collect and store any large pieces that have broken from a tooth for possible reattachment. Discomfort from toothaches can be managed with an over-the-counter pain medication until you can make it to the dentist. We will treat the pain and provide you with more powerful pain medication as necessary. Every hour, swish your mouth with warm water to ease pain. Stop the bleeding with pressure from a clean gauze or cloth. Reduce swelling and relieve pain by applying an ice pack to the affected cheek. Wrap the pack in a cloth to protect the facial skin. A bag of frozen peas works, too. When you visit Piney Point Oral & Maxillofacial Surgery with a dental injury or facial trauma, we will carefully evaluate the situation and determine what method of treatment is best for you. If oral surgery is needed, we perform the treatment with an expert hand to get you back on your feet as soon as possible. Don’t delay calling our office for rapid attention after your next tooth injury! by: Dr. Steve Koo at September 16, 2016 .